It's birthday time for me, and to celebrate, I've got a special deal where everybody gets something. My publisher has kindly offered all my readers another chance to get my Squarespace book for cheap. 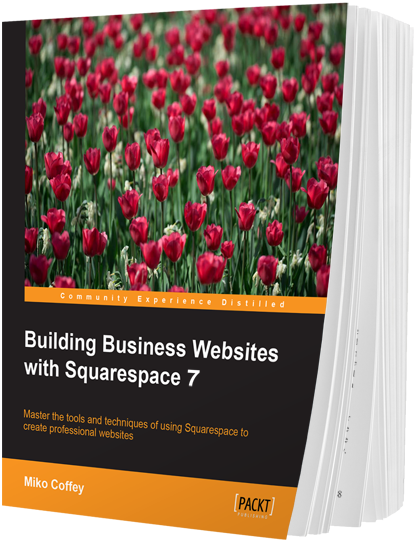 You get a copy of the book while saving money, I get a little royalties and a lot of birthday joy at helping other people build websites for their business with Squarespace. Everyone's a winner! It's the only book available that covers the latest/current version of Squarespace. It gives you more than just instructions on using Squarespace - it covers everything you need to know when building a website yourself. It's specifically for businesses, so it's got useful tips like optimising for search engines and more.